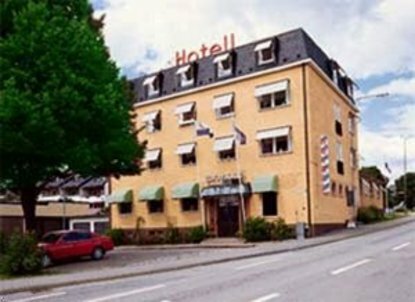 The Foundation Oskarshamns Sjofartshotell was established in 1957. The government at that time and the Sailors Union wished to increase the standard for sailors living ashore. The Sailors' Welfare Committee received funds from the Swedish Foundation of War Damages and were able to start foundations for sailors in all major seaports. The Best Western Sjofartshotellet was built in 1957 and is the only remaining hotel that is still running according to the original idea which is to have good but affordable accommodations for sailors ashore and rent out the remaining rooms at a good marketing price. This gives us competitiveness. The Best Western Sjofartshotellet is, despite its age, a modern hotel with all possibilities to serve our guests. We offer fax service, copying machine, computer access, laundry and ironing rooms. The hotel has 32 rooms of which 15 are double rooms for a total of 72 beds. All rooms have bath and cable television. There are two larger family rooms.